‘You are giving undue importance to this kind of stuff. In the age of the internet, you are making this an issue. It is best forgotten,’ the bench had said while hearing a plea to ban the Malayalam novel Meesha (moustache) written by S Hareesh. The Supreme Court on Wednesday dismissed a plea seeking to ban a book for allegedly depicting Hindu women visiting temples in a derogatory manner, saying "craftsmanship of a writer deserves to be respected". A bench headed by Chief justice Dipak Misra said a book must not be read in a "fragmented manner", but as a whole. "Subjective perception about a book should not be allowed to enter the legal arena with regard to censorship," the bench, also comprising Justices A M Khanwilkar and D Y Chandrachud, said, adding that the author should be allowed to play with words like a painter who plays with colour. The apex court's order came on a plea by Delhi resident N Radhakrishnan, who had sought omission of portions from the Malayalam novel Meesha (moustache) written by S Hareesh. On August 2, the apex court while decrying the practice of banning books had said that it restricted free flow of ideas. It had also said literary works can be banned only when they violated the law. "The culture of banning books restrict free flow of ideas," the bench had said, adding that prohibition can be imposed under certain circumstances like if they violated provisions like section 292 of the IPC. Section 292 of the IPC deals with banning sale of "obscene books, pamphlet, paper, writing, drawing, painting, representation, figure or any other object" as they "tend to deprave and corrupt person, who are likely, having regard to all relevant circumstances, to read, see or hear the matter contained or embodied in it". Radhakrishnan in his plea had alleged that certain comments in the book about Brahmins, who perform 'puja' in the temples, amounted to "casteist slur". 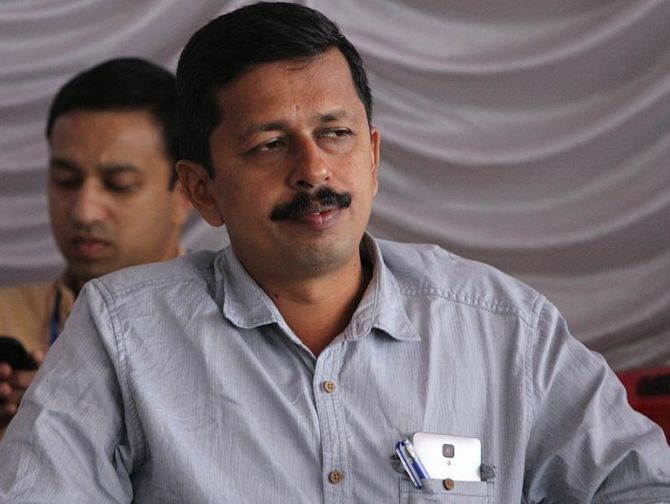 It had also alleged that the Kerala government had not taken necessary steps to stop the publication, online sale and dissemination of the novel. "You are giving undue importance to this kind of stuff. In the age of the internet, you are making this an issue. It is best forgotten," the bench had said during the hearing. The novel was being published in a serialised form in a Malayalam periodical. The publication of subsequent parts of the novel in the periodical was discontinued after the controversy. Both the Centre and the Kerala government had opposed the petition saying free speech cannot and should not be curtailed. The plea heard in the top court had claimed that if the government failed to take appropriate action, it would indirectly invite the public to react and it would not be far before there is "a Charlie Hebdo kind of backlash in India". In January 2015, two persons had attacked the office of French satirical weekly newspaper Charlie Hebdo in Paris, accusing the paper of hurting religious sentiments. 12 people, including several journalists, were killed in the incident. In the previous hearing, lawyer Gopal Sankaranarayanan, appearing for Radhakrishnan, had given the examples of books like Polyester Prince and Satanic Verses and said they were still banned. He had later sought the liberty to withdraw the plea which was denied by the bench.